Following is this semester’s syllabus for my angling literature course. Suggestions are always welcome (as are visitors). Office Hours: TU,TH 10:30 AM-12:00 PM and by appointment. Depiction of Juliana Berners. Lithograph by William Nicholson, 1898. As a whole, this course will serve as a focused study of the role that the extra-human environment and religious practice play in European, North American, and other cultural contexts. Thus, the course will introduce students to literature and ways of thinking that can be applied to any implicitly or explicitly religious phenomena that are practiced in so-called “natural” places. Moreover, the course will introduce students to the often religious significance that conservation and other ecologically informed practices play in the lives of many contemporary people. This course is both reading and writing intensive. Most of the readings, however, were originally written for a popular audience. Also, the writing assignments will allow the student to incorporate his or her own, carefully examined reactions to these readings in his or her papers and essays. Therefore, this class is intended to be entertaining and engaging. Yet, it is designed for the student who is willing to consider religion within its broadest contours, who can devote concerted time to readings, and who is willing to engage in regular and thoughtful writing. If you are not such a student, then, this course is not designed for you. LG1 Demonstrate a firm command of the theories used to explain the social significance of play. Classroom discussions, reaction papers, and essay exams. Readings and discussion of important anthropological, philosophical, and religious studies theories (weeks 2, 5, 9, 12). LG2 Think critically about the concept of “nature” and its construction in Euro-American thought. Classroom discussions, reaction papers, and essay exams. Readings and discussions of anthropological literature, the views of angling authors, and reflections upon Euro-American ontology (weeks 2, 3, 5, 6, 7, 13, 14, 15). LG3 Analyze the religious significance that many people ascribe to activities that take place outside the confines of “conventional” religion. Classroom discussions and final paper. Readings about and discussions of ritual, religious experience, and “religion” (weeks 1, 2, 3, 6, 11, 12, 13, 14, 15, 16). Please note that Washington State University is committed to maintaining a safe environment for its faculty, staff, and students. Safety is the responsibility of every member of the campus community and individuals should know the appropriate actions to take when an emergency arises. In support of our commitment to the safety of the campus community the University has developed a Campus Safety Plan, http://safetyplan.wsu.edu. It is highly recommended that you visit this web site as well as the University emergency management web site at http://oem.wsu.edu/ to become familiar with the information provided. Walton, Izaak and Charles Cotton, ed. 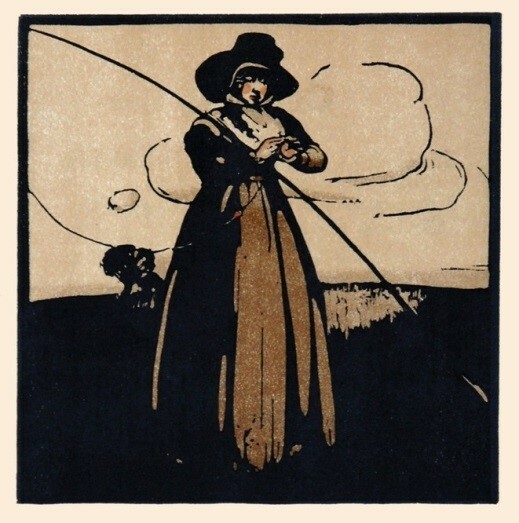 Marjorie Swann, The Compleat Angler (New York: Oxford University Press, USA: World’s Classics, 2014). Maclean, Norman, A River Runs Through It and Other Stories, Twenty-fifth Anniversary Edition (Chicago: University of Chicago Press, 2001). Luce, A.A., Fishing and Thinking (Shrewsbury, UK: Swan Hill Press, 2002). Snyder, Sam, Borgelt, Bryon, Tobey, Elizabeth, Backcasts: A Global History of Fly Fishing and Conservation (Chicago: University of Chicago Press: 2016). Films, Guest Lectures, and other activities will serve as important resources. The films are listed in the tentative schedule, below. Informal guest lectures will be delivered by regional artists, authors, and anglers at dates to be announced. Each guest will address the aesthetic and “spiritual” dimensions of fly fishing, from his or her perspective as a craftsperson or author. We will also visit the Manuscripts, Archives, and Special Collections reading room to examine exceptionally rare editions of texts read or discussed in class, which are part of the Wildlife and Outdoor Recreation Collection. Among these texts are several first and other 17th c. editions of The Compleat Angler. Please note this course is designed to help students develop their critical reading and writing skills. Specific methods of critical reading and writing will be discussed in class at opportune times. You are also strongly encouraged to make use of the instructor’s office hours and of the Undergraduate Writing Center in Smith CUE 303. Four three-page critical reaction papers will be submitted throughout the semester. Papers should be written in a 12 point font with 1 inch margins. Each of these papers is worth 5 percent of your total grade (5 points each). There will be two exams, which will include short answer and essay questions. Each exam is worth 20 percent of the total course grade (20 points each). Toward the end of the semester, a twelve-page paper, analyzing the treatment of religion in at least three of the assigned readings, or in three texts dealing with other “outdoor” practices sometimes characterized as religious (I will provide a bibliography), must be submitted. This paper is worth 30 percent of your total grade (30 points). Ten points are reserved for attendance. Attendance will be taken randomly 10 times during the semester; an unexcused absence during any of these days will result in the loss of one point. See the tentative schedule, below, for due dates and exam dates. An accumulated 93 or more total points for the course will result in a final “A” grade (“A+” and “D-“ letter grades are not awarded at WSU). Academic integrity is absolutely required in this course. Any student caught cheating, in any way, will fail the course and be reported to the Office of Student Standards and Accountability. Cheating is defined by Washington State Academic Code ((WAC 504-26-010 (3).) It is strongly suggested that you read and understand the definitions. Plagiarism is presenting the information, ideas, or phrasing of another person as the student’s own work without proper acknowledgment of the source. This includes submitting a commercially prepared paper or research project or submitting for academic credit any work done by someone else. The term “plagiarism” includes, but is not limited to, the use, by paraphrase or direct quotation, of the published or unpublished work of another person without full and clear acknowledgment. It also includes the unacknowledged use of materials prepared by another person or agency engaged in the selling of term papers or other academic materials. All written assignments must be submitted by 11:59 pm on the day they are due. To do this, upload your paper as a document file in the “assignments” section of the course’s Blackboard site. The title of your file should be “HONORS 380.3 Paper #–your first and last name” (e.g., HONORS 380.3 Paper 1–Juliana Berners). Please put your name on the first page of the document itself, as well. Late assignments will not be accepted unless prior arrangements are made or if a documentable emergency occurs. Midterm Exam Date: Oct. 2. Final Exam Date and Time: Thursday, Dec. 13, 10:10 am – 12:10 pm. Week 1: August 21 and 23. Academic Integrity, the Academic Study of Religion, and Religion as a Lived, Social Phenomenon. Readings: Snyder, “Wading through the History of Angling’s Evolving Ethics” (online). Film: Prosek, The Complete Angler. Week 2: August 28 and 30. Water, Humanity, and Other-Than-Human Worlds. Readings: Turner, “Liminality and Communitas,” (online); Harvey, “Signs of Life and Personhood” (online). Week 3: September 4 and 6. Ancient and Medieval European Fishing, Monasticism, Sustenance, and Leisure. Readings: Hoffman, “Trout and Fly, Work and Play, in Medieval Europe (online); Berners, “The Treatyse of Fysshynge with an Angle” (online); James, excerpt from “Mysticism” (online). Paper 1 Due Sept. 4. Week 4: September 11 and 13. King Arthur’s Knights, Celtic and Anglo Saxon Fishing, and England. Readings: Walton, The Compleat Angler (Part I, ch’s 1, 2, 4, 5, 6, 7, 16, 21). Week 5: September 18 and 20. The Enlightenment, Play, and the Escape to Nature. Readings: Cotton, The Compleat Angler (Part II, letters, “Retirement,” skim ch’s 5-12). Week 6: September 25 and 27. The Americas, Natural Law, and Romanticism. Readings: Seecombe, “Business and Diversion” (online). Paper 2 Due Sept. 25. Week 7: October 2 and 4. Week 8: October 9 and 11. The Americas, Romanticism v. Reality. Hemingway, “Big Two-Hearted River” (online). Week 9: October 16 and 18. Paper 3 Due Oct. 16. Week 10: October 23 and 25. Readings: Luce, ch’s 7-12, Fishing and Thinking (online). Week 11: October 30 and November 1. Lived Religion, Map, and Territory. Readings: Maclean, A River Runs Through It. Week 12: November 6 and 8. Lived Religion, Nature Mysticism, and Ecology. Readings: Duncan, The River Why. Week 13: November 13 and 15. Lived Religion, Nature Mysticism,and Ecology. Week 14: November 20 and 22. Native American and other Religious Views of Water, Fish, and Fishing. Readings: Lokensgard, “From Serpents to Fly Fishers: Changing Attitudes in Blackfeet Country toward Fish and Fishing” (online). No class Nov. 20 and 22. Week 15: November 27and 29. Week 16: December 4 and 6. Religion, “Nature,” and the Environment. Film: A River runs Through It. Analytic Paper Due: December 7 by 11:59 PM. This entry was posted on August 20, 2018 at 4:02 PM and is filed under Environmental Literature, Fishing and Religion, Fly Fishing Literature, The Arts, The Environment. You can follow any responses to this entry through the RSS 2.0 feed. You can leave a response, or trackback from your own site.